Wow, last week seems ages away. And for no good reason, really. The weekend was busy, but nothing spectacular. It had potential, but somehow didn't turn out to be anything unusual. It started on Friday with a dress-up in the office for Halloween. The theme was masks and after having a browse around at The Flower Spot last Saturday and going home to have a think about it, I decided on something a little more literal. I didn't like the full masks than go over your head and I couldn't work out what I would "be" using some of their other (although gorgeous!!) masks than just cover your eyes. So I came to work in my sarong and bikini top, with a shirt over and a mask & snorkel. Hahahaha. Was a more comfortable way to spend the day than some outfits! And we finished up early and had a braai in our office park gardens which was a lovely way to spend the afternoon. After that it was off to another braai, this time from one of the SCM crowd's birthday. See, this was potential one to meet new people but didn't deliver. On Saturday I sorted out the fish. I bought a new air pump and 2 new fish buddies and some netting and the pond seems to be a much happier place now :) I went and watched t he Rugby at Cesco's with Loulou. What a boring game ... but I'll concede that the Sharks definitely deserved to win. And potential two to meet new people but since it was people Loulou went to high school with, I got bored rather quickly of the reminiscing conversation that I couldn't join into. I quickly dashed home after we had dinner there (I had a Chicken Trinchado which will g o on my average list - I definitely think it's time to visit Xai Xai again for some Trinchado and Darwa's!) and got dressed up for the Red Room Halloween Party. Which sadly was also not as spectacular as I was hoping. There weren't too many of our crowd there. And the 2 other girls who were have both become single in the last week so are not yet in the right state of mind. They had bands playing, taking up the entire dance floor. And then the power went out. Which was actually quite amusing to me. So the bands cleared out and they hooked the generator up to the music and things got pretty much back to normal. Except that the dance floor was sweltering with no fans ... So I didn't stick around too late at all. 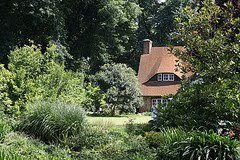 On Sunday I met up with two friends from work and went for afternoon tea at Beechwood, one of the Gardens of the Golden City. It was quite lovely. 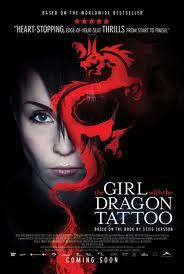 I finished the weekend off by watching The Girl with the Dragon Tattoo. I haven't read the book (yet, now I definitely want to). I think it's often better to watch the movie before reading the book so that you can actually enjoy both. In most cases, if you've read the book first, the movie will just disappoint and frustrate you. I enjoyed this movie, although there were some really hectic parts. And it's been ages since I saw a sub-titled movie (I quite enjoy them). I went to watch at Ster Kinekor for a change (usually I go to Monte Casino). It's a price balance. At Nu Metro (on a Wednesday), parking will be R10, the movie is R20 and a medium popcorn & coke is R30 (how they justify that is beyond me!). After looking online (and why do you have to go thru the whole process of pretending to buy a ticket to find out how much it'll cost you? ), I realised that movies at Nu Metro any other day of the week are about R42. But any other day of the week I can go to a Ster Kinekor (although there aren't many I like nearby). Last night, parking was R6, the movie was R22.50 and a regular popcorn & coke was R36. I definitely prefer going to Monte Casino, but that's because I usually go to weekday 5-6pm shows, so there are less people around but plenty of people staffing the popcorn counters. Not so at Ster Kinekor on a Sunday afternoon, jees what a hassle! I'm also amazed at people. I went and used one of the 6 self-service screens to buy my ticket. Yet there was a queue about 5 people long to buy tickets from the single staff member at the counter. Are people really that stupid? Unless you don't actually own a credit card, I can't understand why anyone would book from a person at a counter? Ah well, guess that's their problem.